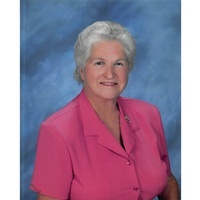 Jean Scott of Lake Wales, Florida passed away Sunday, March 31, 2019 at her residence. She was born May 8, 1930 in Dania, Florida to the late Richard Edgar and Etta Clarke (Barnhill) Hansen. She has been a resident of the area since 1941 coming from Fort Lauderdale, Florida. She was the Superintendent of the Highland Park Golf Course. Jean was the President of the VFW Auxiliary for 2 terms, a member of V.O.I.C.E. for the city of Lake Wales for 11 years, and Lake Wales City Commissioner from 2004-2008. She held the key to the City and was Citizen of the year. She was a Deputy Poll worker since 2008. She is preceded in death by her husband Billy Joe Scott and daughter Sharon K. Thompson. Survivors include her daughters Marietta K. Burbank, Virginia K. Turner, Sue Kincaid Grobtuch, Helen E. Hill (Dave), son James C. Kincaid, III (Gloria), 17 grandchildren, 25 great grandchildren, and 4 great- great grandchildren. Visitation will be held 5:00 – 7:oo PM Thursday, April 4, 2019 at the Marion Nelson Funeral Home with services 11:00 AM Friday, April 5, 2019 with Rev. Keith Thompson officiating. Interment will be held at the Lake Wales Cemetery with reception to follow at the First United Methodist Church in Lake Wales. In lieu of flowers donations may be made in her honor to V.O.I.C.E. at the Lake Wales Police Department.